“There are no disasters, only opportunities. And, indeed, opportunities for fresh disasters.” So said Alexander Boris de Pfeffel Johnson, the man who once again this week plunged his party, his country and a prime minister in whose government he served into disaster. Certainly for the Labour Party there is a tremendous opportunity to be seized, but opportunities for fresh disasters also abound. It was only two years ago the Tories last dived headlong into crisis and infighting over Europe as David Cameron – probably still edging out Theresa May as the most catastrophic prime minister since Suez – set fire to the building and ran away. Had Labour offered a clear and united alternative then, instead of diving headlong into crisis and infighting right after the Tories, it would now be in government. Our party cannot afford to see history tragically and farcically repeated. May’s leadership has never looked more tenuous as the death by a thousand resignations continue. A general election this year is not a certainty, but if and when it comes Labour needs to be united behind Jeremy Corbyn. 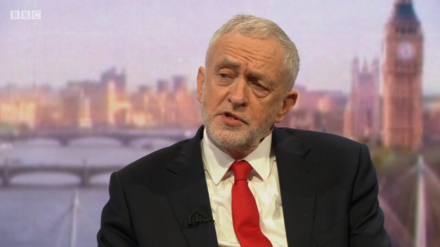 The Labour leader will also need to offer a clear alternative on Europe – and nothing could be clearer than a second referendum on the terms of Brexit. The case for a referendum on the terms of the final Brexit deal negotiated has never been greater. First, the battle lines have now been drawn between the hard Brexiteer Tory right led – somewhat farcically considering he used to be a Remainer, then a-cake-and-eat-it soft Leaver – Boris Johnson on the one hand, and the softer version of Brexit that May put on the table as Chequers. With May moving closer into the territory Labour has been occupying, Corbyn needs to offer the public a different choice, and he needs to act as an anchor against the Overton window on Brexit being shifted further to the right as May faces the fiercest fire from Johnson et al. Second, it has never been clear exactly what kind of Brexit the public were voting for. Recent Opinium research shows a Norway-style softest of soft Brexits is the option most favoured by the British public and a no deal hardest of hard Brexits is the option least favoured. But Theresa May’s compromise was no Norway, and the recent chaos looks like delaying negotiations to the point we fall off a cliff into no deal. Before the clock strikes zero, the public deserves that chance to decide whether this is really what we want. Third, the lies and fabrications of the Leave campaign have been well documented, but now it has been accused of cheating as well with the Electoral Commission expected to find Vote Leave guilty of breaking electoral law. This does not mean we can discount the result of the first referendum, but it does make the case for a second referendum on the concrete terms of Brexit in which people know exactly what they are voting for that much stronger. Fourthly, it would be popular, both among the public at large – where recent polling shows British people favour a second referendum by a 23 point margin – and among Labour voters, among whom it is often forgotten two-thirds voted Remain. Over 60 CLPs, my own included, are now debating a motion that gives its backing to a Labour government led by Corbyn, but also calls on him to back a second referendum. And why not? For too long, we have allowed a flawed narrative to persist that Labour is predominantly characterised by a division between Corbyn supporting Lexiteers and Progress-led Remainers. I assure you there are plenty of us out there who both support our leadership, but want it to adopt a stronger position in opposition to Tory Brexit. It’s time to bring our party together under the common rallying cry of a referendum on the terms of Brexit. If we do this, we can turn the Conservatives’ disaster into an opportunity for a socialist government and an open, outwardly-looking Britain. Salman Shaheen is a councillor and chair of the Labour Group on Hounslow Council, chair of Isleworth & Brentford Labour Party, a spokesperson for Another Europe is Possible, and a journalist.